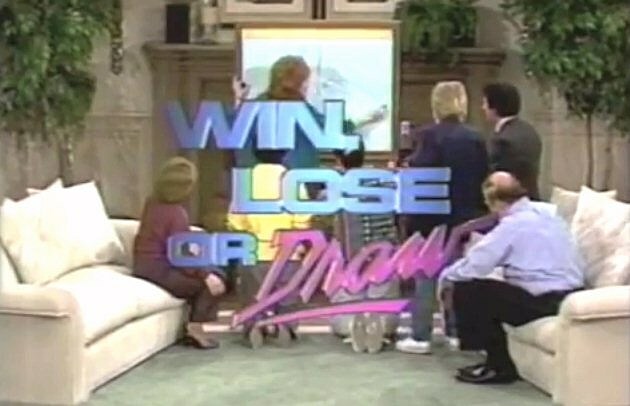 style of a 1980's game show. Would you take a draw? Now, in this scenario, you can't question whether that's one point gained or two points lost; that depends on the context of the match itself. So, if I told you you weren't allowed to watch the match and could never watch the highlights or find out what happened other than the scoreline, and you found out it ended level, would you be okay with it or would you be apoplectic? You get no other context than the result. I would wager that a majority of you would pick the latter because this is, like last season's incarnation, the worst United team in years (more on that in the form section below.) Anything less than three points is going to feel like a potential win squandered. And, let's face it, the Arsenal fan base has been fairly apoplectic all year, just as a baseline. Ah, but it's so much more complicated than that. Given the state of both sides' back lines, the aforementioned draw could well be 3-3 or higher (6-6, anyone?) The takeaway here is simple: Arsenal need to start winning football matches to get some sort of momentum going and therefore, they may as well start now. With a critical Champions League group match following on Wednesday, the Gunners need to find their stride sooner rather than later. Stay in these doldrums through the winter and who knows what we'll be looking at. For the record, I will not be satisfied with a draw, but I honestly expect one. Guess whose abs are back? That's right: that red wire guy! Danny Welbeck may be the only casualty of the international break, after the Englishman tweaked his hamstring against Scotland on Tuesday; Roy Hodgson has said that Welbeck should be fit for the weekend, but of course the England manager would say that. However, when you throw in the fact that Welbeck would be playing against his former club, he will almost certainly do everything he can to start. Two more injured players move from the "out" to "doubtful" category, as Mikel Arteta should return from the hamstring problem that forced him off against Anderlecht and Olivier Giroud is, surprisingly, already back in full training despite breaking his ankle just three months ago. 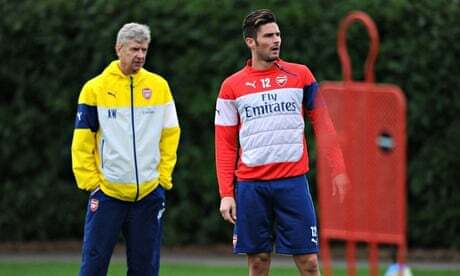 Arteta will be good to go, but I can't see Giroud being rushed back so quickly. Theo Walcott also, apparently, picked up a little injury and will not be available. That means Arsenal's injury list is down to just five (!) though it still includes two of the top four choices for defenders, the backup goalkeeper, the top choice for "central attacking midfielder to be shunted out to left wing for some reason," and Diaby. So, that brings us to the question of the starting XI. For all of the issues with the back four, please remember two things: 1) Thomas Vermaelen, sold in August, has yet to feature for Barcelona due to injury and 2) any replacement for Vermaelen would not only have to be a quality center back but also be content to be third string behind the Mertescielny axis. We had a decent number three in Chambers, but two injuries have forced us to use number four. When you criticize Arsene Wenger for the lack of defensive depth (which is a fair and reasonable criticism,) just remember how difficult the situation truly is. What is curious is how the midfielders have been used this year. For example, the talk is now all about Jack Wilshere, as he was the star of the show for two England wins over this international break, playing a deep-lying midfield role. However, Wenger continues to use Jack in an advanced role this season (when he does at all; Wilshere hasn't completed 90 minutes for Arsenal since September.) In terms of my prediction, as listed below, it's entirely likely Jack won't start at all, with Wenger often preferring Alex Oxlade-Chamberlain's ability to play wide. Predicted XI: Szczesny, Chambers, Mertesacker, Monreal, Gibbs, Arteta, Ramsey, Cazorla, Alexis, Oxlade-Chamberlain, Welbeck. "It looks like a hand to me!" Even though the length of Manchester United's injury list is so long it's approaching Arsenal territory, many of the players on the list are considered "slight doubts" and might be fit to start. In terms of those certainly out, defender Marcos Rojo is out until early December after separating his shoulder in the derby against City. Meanwhile, Daley Blind has done some ligament damage to his knee on international duty (though reports of his being out six months appear to be premature,) while Joel Lingard is out with a knee problem as well. As for those in more of a state of flux, David De Gea passed fit after dislocating his finger with Spain and is expected to be available. Luke Shaw is supposed to be available as well after injuring his hamstring with the England squad; that is, if you believe Roy Hodgson, which I've already established by selecting Welbeck for Arsenal above. Angel Di Maria took a bit of a stamp on the ankle for Argentina against Portugal (ironically from Nani) but has also passed fit. Radamel Falcao has been missing with a calf problem for a few weeks, but suggested on Instagram two weeks ago that he was "ready to train" again. Look at us, getting news from Instagram now. There are also "slight doubts" over Michael Carrick, Rafael, Ashley Young, Phil Jones, and Jonny Evans, but there also seems to be this slightly pervading feeling that any one of their doubts could be fit to start tomorrow. Predicted XI: De Gea, Valencia, Smalling, Jones, Shaw, Herrera, Fellaini, Di Maria, Mata, Rooney, van Persie. Arsenal's 2-1 setback at Swansea just before the international break was Arsenal's second loss in the league this season and second over a span of 16 matches dating back to last season. But, while Arsenal may not be losing a lot, they certainly aren't winning a lot either: 11 matches played, four wins, five draws, two losses. That's good for 6th place, though they are just one point out of the 4th place trophy spot. Still, this is a league game at the Emirates; Arsenal have gained at least a point from their home league matches on 23 consecutive occasions. The BBC called this match last year a "grim stalemate." Manchester United have had the better of Arsenal in recent meetings, which you probably know already (because I continuously copy and paste this section from my previous United previews while only changing the numbers. Seriously, go check.) In 2006/07, Arsenal won both league meetings between the sides. 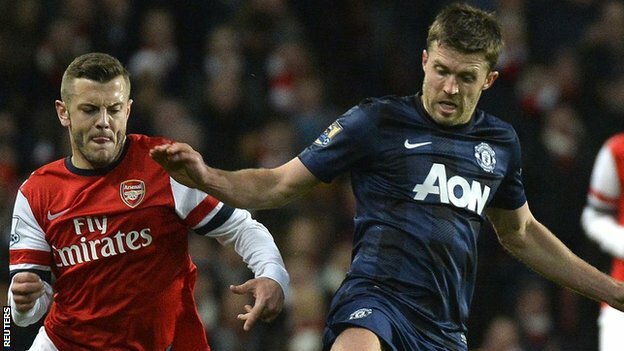 Since that year, across all competitions, United have met Arsenal 18 times. Arsenal have won two of those matches, drawn four, and lost 12. United, however, have won only once in their last four visits to the Emirates, though Arsenal have not beaten them in such a match since Aaron Ramsey's 1-0 winner in May of 2011, back when Ramsey goals killed people (it was Bin Laden that day.) United won 2-1 in London the following season, while the clubs have played out a draw in this fixture each of the last two times it's been played, 1-1 in April 2013 and 0-0 in February, played days after Arsenal had shipped five in Liverpool. "I bet I left the iron on..."
The referee is Wirral-based Mike Dean. You will likely recall Dean from a stretch of 21 matches from 2009 to 2013 in which Arsenal only won twice with Dean as the referee. That stretch included the match at Old Trafford when he sent Arsene Wenger to the stands after he kicked a water bottle, which was done on the advice of the fourth official, Lee Probert. Just before the start of that 21 match streak, Arsenal had gone almost five years without seeing Dean for a match against United; he had worked the 2004 Community Shield, which Arsenal won 3-1. 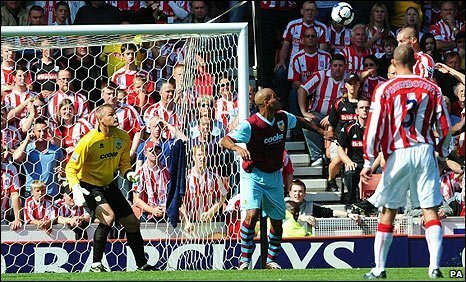 His next match between the two clubs was in May of 2009, a 0-0 draw at Old Trafford that won the league for the hosts. However, Arsenal are currently unbeaten in their last five matches with Dean, all league games, since losing to Blackburn Rovers in the 2013 FA Cup. The stretch includes wins over Wigan, Stoke, and Spurs at White Hart Lane last year, as well as home draws with Chelsea and Manchester City from last season. 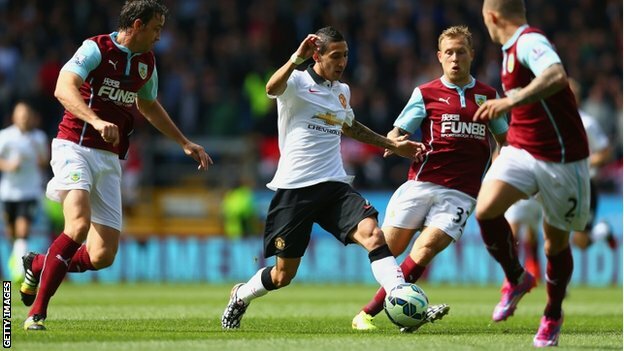 United have seen Dean once already this season for a 2-2 draw with West Bromwich Albion at the Hawthorns on October 20. United also failed to win across three matches with Dean last year, drawing Spurs, losing to Swansea, and drawing Southampton. With a loss to City in 2013 thrown in for good measure, United have not won with Dean since Boxing Day of 2012 against Newcastle. So, to sum up: Arsenal are unbeaten in five with Dean and United are winless in five, but try telling anybody else that. The rest of the Arsenalsphere either hasn't noticed it's Dean or is already panicking. Chelsea v. West Brom ended full of controversy last year. A week before they host Arsenal at the Hawthorns, the Baggies will try to inflict a first defeat of the season on Chelsea; West Brom should have won this fixture last year to snap Jose Mourinho's home unbeaten streak, but Chelsea stole a 2-2 draw thanks to a highly controversial last minute penalty. The fourth place Hammers will look to extend their unbeaten streak to six matches against an Everton side that have struggled this season. The Toffees sit 10th in the table, though they themselves are unbeaten in their last four Premier League matches. Since their astonishing 5-3 win over Manchester United, the Foxes have earned just one point from their last six. As such, Leicester have fallen into a relegation place. On the other hand, after dropping Vito Mannone for Costel Pantilimon, Sunderland have picked up four of a possible six points; the Black Cats have climbed to 14th in the table. Third place City are already eight points back of Chelsea and they've dropped points in two of their last three. Swansea sit in fifth place after their win over Arsenal two weeks ago, but the Swans haven't won away from home since their opening day win at Old Trafford. Newcastle are suddenly on fire, winning four straight after failing to win in their first seven. QPR have had a good run of results as well, though they still sit 19th; they picked up a win over Aston Villa and a draw with Manchester City and can consider themselves unfortunate not to have picked up anything from one-goal losses to Liverpool and Chelsea. Stoke have yet to win consecutive league matches this season, but they've gathered enough points to sit in ninth. Burnley finally won a match in the last round of fixtures, beating Hull 2-1, but they still prop up the table with just seven points. This match last season all but ended Liverpool's title hopes as the Reds blew a 3-0 lead to draw 3-3. This time around, Liverpool are in 11th place, but the Eagles are 17th and are winless in five. Hull were briefly buoyed by draws with Arsenal and Liverpool, but the Tigers followed those results with losses to Southampton and Burnley. Spurs, however, have lost three of their last four and needed an Aston Villa red card and deflected free kick to come from behind in their only win in that span. Aston Villa had 10 points from their opening four matches; then, they lost six straight before a 0-0 draw with West Ham two weeks ago. Southampton, however, are flying high; the Saints are just four points out of first, having won eight of their last nine. John Painting is a contributing writer for The Modern Gooner and an 800-time lottery jackpot loser. You can follow him on Twitter @zorrocat, which isn't a long complicated story at all.